Can We Rethink Live Shots? Know Your Newsroom, Reporting, The Latest Comments Off on Can We Rethink Live Shots? It is time to talk about live shots: Why do them and how do they benefit the viewer? This is not the first time Survive has talked about live shots, (You know our logo shot!) including how to make a boring location more compelling, especially at night. But this issue keeps cropping up, so let’s focus on it again. Live shots are such a tremendous part of the day-to-day news cycle. Yet they are misused much of the time. They really are. Here’s why I say that. Live shots which are just “live for the sake of being live” used to be a common marketing gimmick in the 90’s and had a real, beneficial purpose. First, it’s hard to believe now but, back then not everyone could go live everywhere. Also, if people could drive by the truck with your station logo on it, they would know you are live, in their neighborhood (or hot zip). See the station cares! But let’s think about how most live shots are now being done. Many are using backpack live units. Some newsrooms use cell phones or tablets to go live. The marketing/PR benefit of the big live truck with its mast up is really not as relevant. So let’s talk about why so many managers still push live for the sake of being live. (In case that term is confusing, that’s when there is no active scene or anything else to show viewers. You are standing in front of an empty building, or at the location of a scene that has been cleared.) These managers think that putting up a live chyron makes it seem like the story is immediate, relevant and therefore worth putting down your phone or tablet to only watch the television for a moment. That is wrong. Period. It also is lazy. Live shots are effective in this digital age when you can actively show something happening. Viewers are used to seeing people live in front of action. A live chyron is simply not good enough to make something seem important or relevant, when it is not. It looks stale, feels like a trick or has no impact at all depending on how observant a particular viewer may be. Most don’t even notice the live chyron unless there is action in the shot. Go through viewer diaries and focus groups and you quickly learn this. The live chyron is just not that impressive. The action is the attention grabber. Now, managers, I know what you are thinking: “But we have to have our crews spread across the DMA in case of breaking news. So why not also get a live shot out of the deal?” I am going to argue that it would be more effective to have those crews stationed around the market, turning in packages with interesting stand-ups which showcase and interacting with viewers on social media. Now that doesn’t mean making them do a Facebook live hit at the empty building. I mean actually interact. Look at posts from viewers and like ones that are appropriate. Look for something that might be a story for tomorrow. Try and get some facts. Be ready to take off on that breaker. Bottom line: Instead of standing in front of an empty building or a dead, boring scene, waiting on time cues, it would be far better to focus on providing extra information on digital platforms and/or find the next good stories to cover. Staffing is not getting any larger, and reporters could use extra time to search for stories, talk with sources and showcase more information online. How often do you lament the fact that reporters do not have good pitches in editorial meetings? This is an opportunity to give them some time to find the good stories. Yes, this is a big change in thinking for some of you. But it could revolutionize how you gather information and make your news gathering better and more efficient. To wrap up, live shots are a great part of television news when done correctly and in a way that has impact. That means showcasing an active scene, being at a scene because new information is imminent or being able to walk through the remnants of a scene and visually showcase what happened. All of these examples help the viewer gain greater understanding of the story. If there is nothing to show, and no new information about to come from the scene, skip the insistence on the live bug. 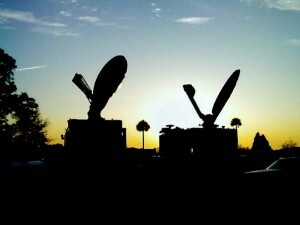 Instead allow the crew to focus more on digital coverage, source building or story gathering for the next day. That’s how the TV industry should rethink live shots. Viewers will reward you for it. No doubt, the killings of Alison Parker and Adam Ward have really shaken up fellow TV journalists from all over. And whenever a tragedy like this happens there are calls to action. think about the dangers of one man banding and raise the issue of live crews routinely feeling very vulnerable while on live shots. All of these are excellent points that journalists frankly should push for discussion about in their newsrooms. In the meantime “Survive” is all about very practical tips that you can do right here, right now to handle difficult situations you face each day in TV news. So let’s talk takeaways that deserve to be heard and implemented right now. What I am hearing from TV journalists is this horrible loss hit everyone hard. And when something like this happens staff members really want one thing to happen right away: To hear from newsroom leaders that they recognize the concerns this creates, that there are provisions in place and more being discussed and that management passionately wants their crews to be safe. You can say this is a lot of hot air and we need to move forward. But simply put, at a time of crisis, staffers want to believe their leaders have their backs. So if you are a news manager reading this, it is not silly or stupid to make a few remarks. Your newsroom needs to hear it. In fact, at this point they are distressed if they haven’t heard it. If you are an MMJ you need to think about how you select where you will be live. If you are told you have to be live, then look for a location where there are people around in case you need help. If you are covering an arrest, go from in front of the police station if you can. If the scene is active go live as close as you possibly can to where the officers are working. If the scene is about to be over and you will be standing alone in the dark, call and ask to send in a look live before the cops leave. If you have to, ask an officer or deputy if they can wait just a few more minutes to watch your back as you finish up. If they are already gone, call the department and tell them you are feeling unsafe, but have to stay, and ask if they can send an officer by. All they can do is say “No.” But sometimes they say “Yes.” We can only hope that managers will stop and think harder about the need to have MMJs going live on a regular basis. But again, we need to talk practicality here. Many of you went live the same day as the attack. Many more will go live today. Keep your eyes out, and stay within ear shot of other people. MMJ’s should play it even more safe and conservatively when going live than two or three person crews. Managers when you think about where you are sending live crews, think about their surroundings. I have always been a proponent of cross training, this is even more true now. If you are not very familiar with the coverage area, at least take some time on your off days to drive around and explore the common areas where you send crews. Get a good idea of what they face. I understand that the story the WDBJ crew was covering was in an area considered safe, and did not have controversy around it. But crews face more than you might realize day to day. See it, so you can more easily identify solutions if a crew calls with safety concerns. Educated suggestions go a long way. Also reiterate to your crews that if they have concerns you will listen, offer suggestions and try to help in any way you can. I hate to have to include this, but I worked in news long enough as a producer and manager that this has to be said. If you are one of those crews, that says you are nervous just to get home earlier (Yes, there are some people like this, and yes, I had to deal with some firsthand at nearly every station where I worked) you are doing your co-workers a great disservice. If you cannot handle the hours and workload, get out of TV news. Now, more than ever, a trust has to be inherent between news crews and managers back at the station. If you say you are not feeling safe, that has to be true. Be responsible. This will go a long way toward managers being able to more easily trust all their crews. Read “The Little Boy Who Cried Wolf” again if you need. And managers remember, one bad apple should not ruin the crop especially if you deal with the bad apple. The vast majority of news crews come in ready to give 110 percent. If they say they feel vulnerable, the fast answer of “just deal with it” is not correct. Can we please stop letting consultant advice take precedent over common sense in newsrooms? In this day and age viewers take live shots for granted. Many, I promise, barely notice that “Live” bug. Managers, if in your gut when assigning a crew a story you think the live environment will stink, do not assign it as live. You can still have crews in live trucks, turning their pkg in a little earlier in case a breaker happens. In fact that is the smartest thing you can do. Live shots are meant to cover breaking information. It is the fastest means to get viewers the facts. If every newsroom reiterated this definition tonight, that move alone would prevent a lot of live shot photo bombing, “f her in the…” incidents and would make it a lot harder to predict where live shots will happen. Therefore, making it harder for people with less than good intentions to find your live shot locations. Yes, if it’s the first night of the state fair, it will make for a great live shot. Do it. But overall, many live shots in newsrooms today have no point except to slap a “Live” bug up. By just saying no to live shots in dark holes, in front of empty buildings and hours before or after an event where there is nothing to show, you are making crews less vulnerable. Remember, safety in numbers. The best live shots have action happening all around them anyway. Being live is the best/only way to get the latest information quickly to viewers when it is changing. Those should be the parameters for live shots. And MMJ’s, no live shot is worth big risk. If your gut says no way, call your manager. The beauty of digital news nowadays is there are so many ways to tell a story. Finally, all of us need to recognize that no matter how much we try to stay safe, things like this can happen. No one could truly predict what happened in Virginia, despite what’s coming out about Vester Flanagan’s past. That’s why Alison and Adam are heroes to fellow journalists. They did their jobs all the way to the end. Adam’s dedication and ability to get the image of the shooter is something I think all journalists will carry with them. We are trained to be eyewitnesses. We will fight to bring the facts to the viewer. And now we’ve been reminded again that there are risks. May the reward continue to be greater. A savvy viewer recently asked me a very telling question. Are most of the live shots done on TV just for the sake of being live? I think most TV journalists would have to admit, yes. First, in defense of sending the trucks out, you cannot get to that breaker at the top of the 5, if all the trucks are sitting at the station. It makes sense to put crews in trucks at the beginning of a news cycle. And if you are going to drive the truck all over town, it makes marketing sense to use the truck. Think of all the people who drive by just wondering why that news truck is there. As for backpack journalist live shots, well we could (and likely will) dedicate another article to that. But just because you are assigned a live shot for the day, and no breaker comes up does not mean you should just stand in front of a generic scene, and go through the motions. This is meant for both the crews who have to get creative because they are stuck with the live shot for that day, and the assigning managers who are supposed to help crews best showcase and explain the news of the day. I say this because I would be very rich if I had a dollar for every time a crew called in to say: “We don’t know what to show ( event x) is over and they are turning out the lights.” The manager’s answer was “Go live anyway, just reference that “The crowds just cleared up.” Seriously? Come on. You have to reference the scene in some way. That might mean moving from an event to the next scene or focusing on the one area still damaged (just don’t exaggerate the extent). If there’s absolutely no way to reference where you are, then ask not to be live for an intro and tag. A live tag only can really help the crew not feel stupid and doesn’t waste the viewer’s time. And here is another idea, why not shoot a backup intro and tag, as live, while there is something happening and offer that as an alternative option. I promise a live bug on the TV screen does not make or break viewership. Reporters demonstrating things attracts viewers. It helps the story become more relevant and the journalist become more approachable. You still got use out of the truck. You are still interactive and the reporter doesn’t look like he or she is forcing relevance at a dead scene. If the scene is absolutely a dead one, like the dreaded “stand in front of our satellite dishes and be live” assignment, think of an anchor question. At least then you can sort of justify why you are “live” by engaging with the anchor, and providing relevant information. And a final thought, managers please, please, please stop and think about these assignments. Do stations really need to put live bugs up when a reporter is standing in front of their own satellite dishes on their own property? This is a classic example of live for the sake of being live. Often there’s a mandate. “We must have 5 live shots a day!” Why? What does that image really prove? Again, I make the argument, viewers would rather see an interactive standup somewhere in the piece to engage with the reporter than some person standing in front of satellite dishes. This has no marketing benefit at all. It doesn’t show that you are everywhere. It just looks sloppy. I hope this article gets stations talking more about relevance and less about live bugs in corners of screens. History is filled with quotes about the importance of preparation from very brilliant, very famous people. One of my favorites comes from a B or maybe even C-level actor named Richard Kline. (Best known as “Larry” the neighbor on “Three’s Company”) Kline says, “Confidence is preparation. Everything else is beyond your control.” I like this one because it is perfect for live shots. If you are prepared, you should and will be confident. If there is one constant in live shots (as in much of life) it’s that something will inevitably get sideways at the worst possible moment. That moment is simply beyond your control so don’t sweat it. Just be as prepared as possible and chances are pretty good you will be able to get through it when something goes squirrelly. In order to learn to tap dance your way through a sideways live shot, you first have to have the basics of doing a live shot down pat. I still remember the first time I knew I was going to do a live shot at my first real reporting job. I went to an experienced friend in the newsroom and asked for some advice. The advice they gave me was very basic and perfect! Best advice I’ve ever been given in my career actually. Do not script your live shot word-for-word. Let me say that again: Do NOT script out your live shots. If you script your live shot you will have to memorize it. This is a recipe for disaster! Ask anyone who’s done any acting what happens when you miss just one word in your lines. The answer: It generally throws everything off from that point on. Additionally, when you memorize a bunch of lines they are just that: A bunch of lines. You do not have near as much comprehension of what they mean. It’s just a bunch of words floating around in your brain waiting to come streaming out. Once they are out, so are the meanings behind them. More on retaining meaning in a moment. First, here’s the key to basic live shots. Rather than memorizing a script, write bullet points. Each one should have a word or three for each key thought you’re going to present. Each of those bullet points acts as a memory trigger for the information you are imparting in your shot. You can then glance down at each bullet point and be easily guided through. You will also find that your comprehension of the subject matter increases too. You will not only have smoother live shots but also retain the meaning more. Start trying the bullet point trick today. Do it every time you are out live. It will quickly become a natural way to do your shots. Eventually, you will depend on those bullet points less and less. Your live shots will also get smoother and smoother. No matter how smooth you become on your basic live shots, at some point something will go wrong that you cannot control. A package will not run correctly; the wrong package will run; the video server will crash. If it can happen, it will. So how do you “prepare” for this? Try making some extra bullet points that sum up the package. Keep it on the next page in your reporter’s notebook after your life shot bullet points. Don’t try to quote the sound bites in the package though. Use your bullet points to help you paraphrase one or two of those bites. Do this and then if something goes wrong you have somewhere to go. Just pause briefly then look up at the camera and cooly say something like: “We’re having a little trouble with that story. But here’s what you need to know.” Then run through a few of those bullet points, sig out and toss back to your anchors. Don’t make it overly complicated. Keep it simple and smooth. Better to keep it short and clean than try to get everything in that was in your package and muck it up. Most of the time when something like this happens, viewers know something went wrong technically. They do understand and will forgive as long as you don’t compound the problem by stammering on and looking unprepared. One quick aside. When something goes wrong do not refer to your story as a “package” or a “VO/SOT” or talk about “sound bites.” These are the terms WE use in the industry. Viewers do not talk like this and do not know what these terms mean. It will confuse them and then you have lost the battle. Legendary writer Ernest Hemingway once said: “Courage is grace under pressure.” Use these tips to sharpen your basic live shot skills, then when the pressure is really on, you will come off looking courageous indeed! For more advice on how to ad-lib read “Art of Ad-lib” written by veteran anchor, Cameron Harper. More and more reporters are being asked to do live teases. The producer isn’t trying to get out of work necessarily, this is a great marketing tool to show you have live crews everywhere in the DMA or at least in a key place. But these teases need to be more than a person just standing outside holding a mic with a station shirt on. The best live teases are about 6 to 10 seconds and are interactive. Think show and tell. Reporters need to visually show the viewer why he/she is live somewhere from the get go. This includes during live teases. Standing in front of the camera, holding the mic is not enough. Point to something in the background. Walk and talk. Hold up something. Get the viewer into the story right away. Make sure and coordinate what’s being said live. There needs to be a dialogue between the producer and reporter. Often I hear the anchor pitch to the reporter, then the reporter says the same thing. Obviously it is not effective to repeat a line. Producers be willing to take the time to brainstorm with the reporter. And reporters, remember producers have more tease writing knowledge. Take advantage to make sure you get the most out of this extra live opportunity. I’ve been traveling and one market I was in, is really putting heavy emphasis on its late newscasts. Competition is tight, a new broadcasting powerhouse just bought a station and it’s ready to make a big play. Veteran journalists know what this means. More live, more often, even if it’s in the pitch dark. So I sat and watched the new competition come in and make it’s presence known. The takeaway, live shots in black holes. Live for the sake of being live. Showcasing that the reporters are everywhere with a simple word, in an upper corner of the TV screen, repeated over and over: LIVE. As a former nightside EP, I get it. I remember the countless strategy sessions about the importance of live crew placement. The incredible marketing involved with people driving by your station’s microwave or satellite truck for hours on end. Then there’s the promise that you will deliver breaking news. That means night crews are working out of live trucks no matter what. You must be ready to jump! But here’s the thing, shooting a lovely reporter whose face glows in the dark like a street lamp against a pitch black background is not acceptable. So let’s break down why these live shots happen and alternatives to the glowing head in the black hole. So, why do those “work you to the bone” nightside managers require you to go live, even when the story is “over” and there’s nothing to see in your background? For two reasons: Breaking news and marketing. Here’s what I mean by that: If you have two crews, and four counties in your DMA you need to spread everyone out. If everyone heads back to the station with look lives, you could end up screwed. That’s when the huge breaker will happen on the outer fringes of your DMA. You must cover the bases. So if the crew is out in a live truck anyway, you might as well get that live super up. That’s the thinking. As for marketing, if your crew is parked in a busy section of town or better yet in a part of the DMA you know brings in a lot of viewers, or is full of opportunities to grow viewers, you want the exposure. That huge mast or beautifully painted satellite truck is a mobile billboard. That advertising is priceless. Billy drives by the truck and calls Bob to say, “Hey channel 8 is here.” Bob calls Sam and so it goes. The nightside managers task is always to grow audience. You can bet this is on that managers mind every night. We ask ourselves “Where can I send the truck that will get the most eyeballs and then new viewers?” It’s the simple truth. So now that you know why the nightside crews get “stuck” live all the time in the dark, let’s talk execution strategies. The crews need to avoid black hole live shots, and the managers need to help. Yes, that’s right: The mangers need to help you avoid black holes. First let’s talk about what nightside crews can do. I used to get into it with photojournalists all the time for refusing to set up a frigging light on the background behind the reporter. I get that it’s a little extra work. I get that it’s just an empty building. Personally, I hate that kind of live shot background image also. But, if you are in the part of the DMA I’ve been told to increase viewer numbers in and it’s ratings and I have a HUGE lead in, I may feel I have to showcase that we have a crew there RIGHT NOW. The station is deeming a particular community important. We are there watching out for you. And whether you the crew or I hate the dark shot, there are payoffs sometimes. So get out the light kit and make the effort. That said, if you don’t have spare gear, or if you have an imaginative look live option, call it in. Nightside managers, remember you can still have your cake and eat it too. Let the crew feed in the great look live elements. But keep them parked in the truck during news time. You get the marketing exposure and the ability to jump on breaking news if needed. Sometimes it is worth losing the live super to avoid the black hole. When you really think about it, you could get to a breaker even faster if the crew does not have to break down a live shot. But, news crews, if the nightside manager gives you this option, that doesn’t mean you “cheat” and head back to the station a little early. When you get busted, you will ensure yourself a set lot in life: Live shots in a black hole each shift for as long as you are nightside. The strategic planning cannot be sacrificed just to make your life easier.